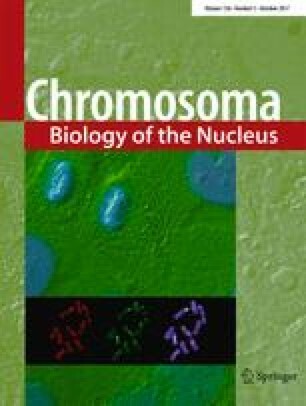 Most supernumerary (B) chromosomes are parasitic elements carrying out an evolutionary arms race with the standard (A) chromosomes. A variety of weapons for attack and defense have evolved in both contending elements, the most conspicuous being B chromosome drive and A chromosome drive suppression. Here, we show for the first time that most microspermatids formed during spermiogenesis in two grasshopper species contain expulsed B chromosomes. By using DNA probes for B-specific satellite DNAs in Eumigus monticola and Eyprepocnemis plorans, and also 18S rDNA in the latter species, we were able to count the number of B chromosomes in standard spermatids submitted to fluorescence in situ hybridization, as well as visualizing B chromosomes inside most microspermatids. In E. plorans, the presence of B-carrying microspermatids in 1B males was associated with a significant decrease in the proportion of B-carrying standard spermatids. The fact that this decrease was apparent in elongating spermatids but not in round ones demonstrates that meiosis yields 1:1 proportions of 0B and 1B spermatids and hence that B elimination takes place post-meiotically, i.e., during spermiogenesis, implying a 5–25% decrease in B transmission rate. In E. monticola, the B chromosome is mitotically unstable and B number varies between cells within a same individual. A comparison of B frequency between round and elongating spermatids of a same individual revealed a significant 12.3% decrease. We conclude that B chromosome elimination during spermiogenesis is a defense weapon of the host genome to get rid of parasitic chromosomes. We thank M. Teruel and J.D. Alché for their help to obtain the electron microscope photograph in Fig. 2f. This study was supported by a grant from the Spanish Secretaría de Estado de Investigación, Desarrollo e Innovación (CGL2015-70750-P) and was partially performed by FEDER funds. All experiments comply with the current Spanish laws.